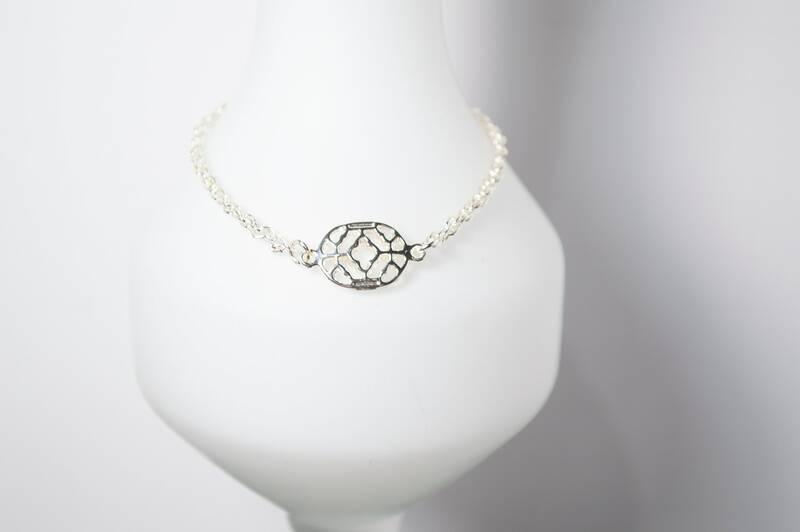 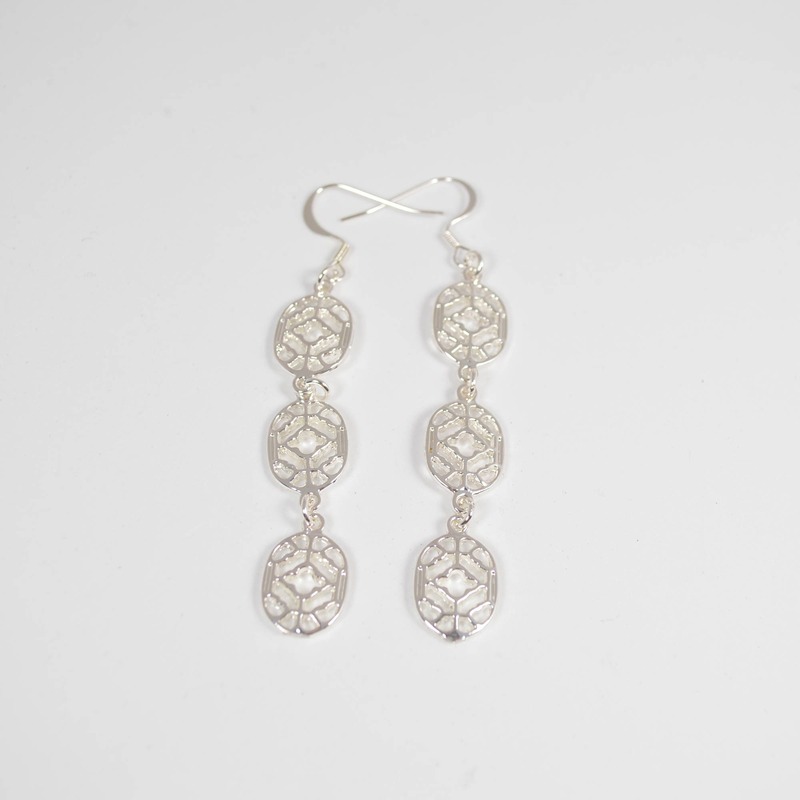 This Dainty Silver Bracelet features a single oval shaped filigree measuring 14mm x 10mm. 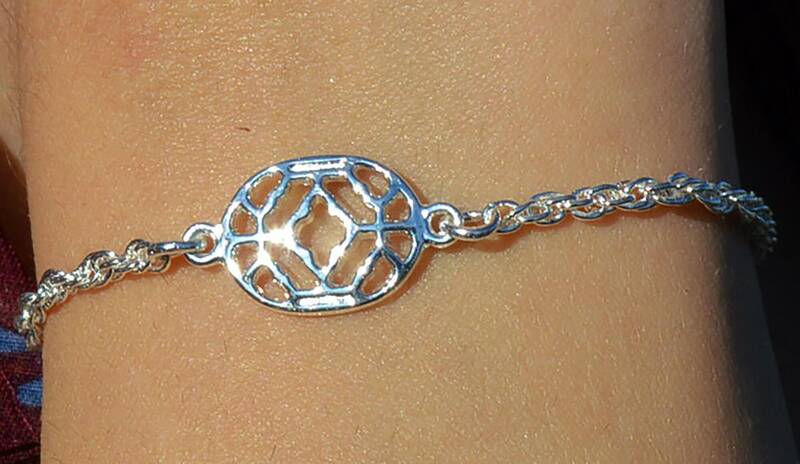 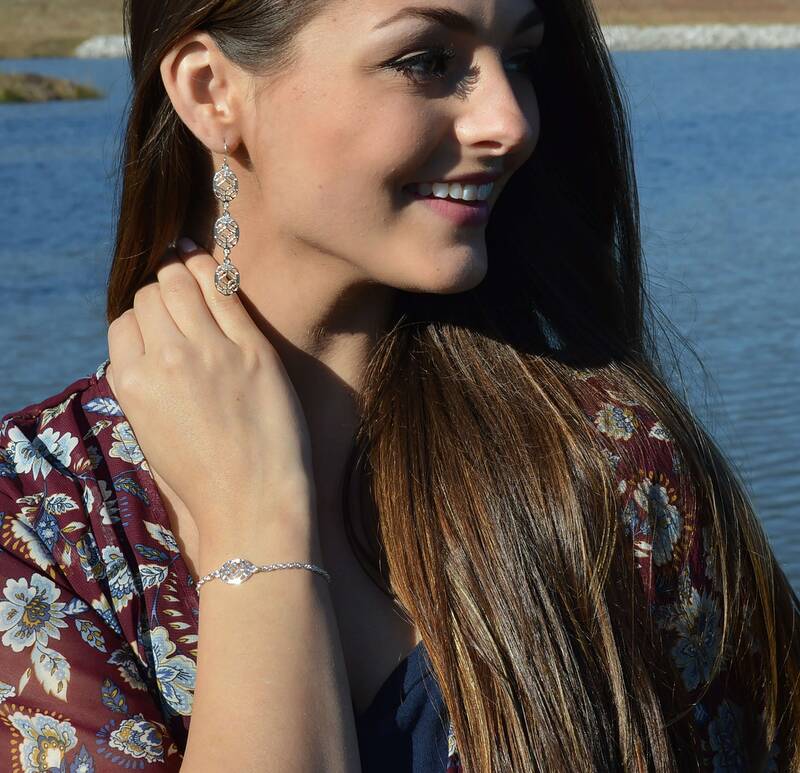 This piece serves as the focus of this delicate bracelet. 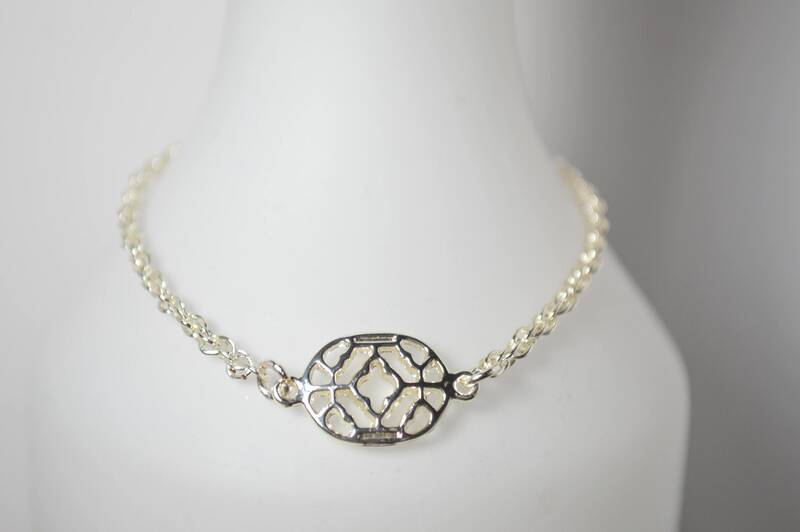 It is combined with a beautiful rope style chain and finished with a lobster clasp. 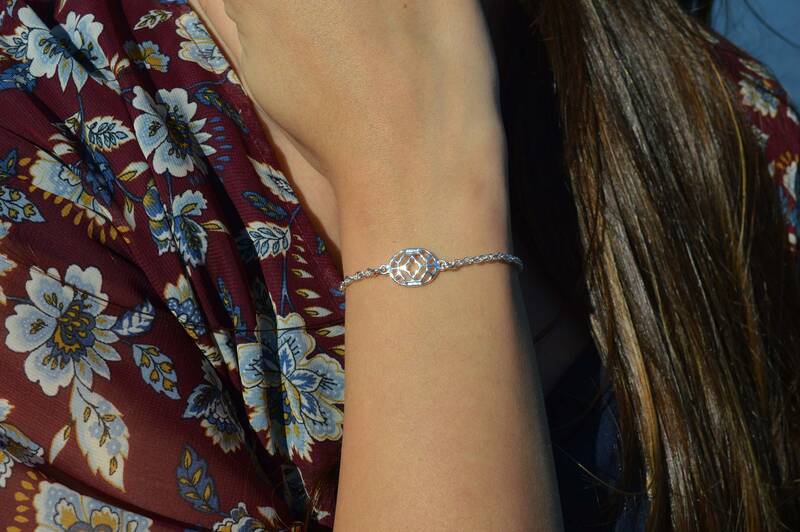 All materials are dipped in Sterling Silver.